A multi-player collaborative space shooter. You and your fellow players are have to work closely together to finish missions. Download it from here. Need to run a raffle, or just pick a random name? 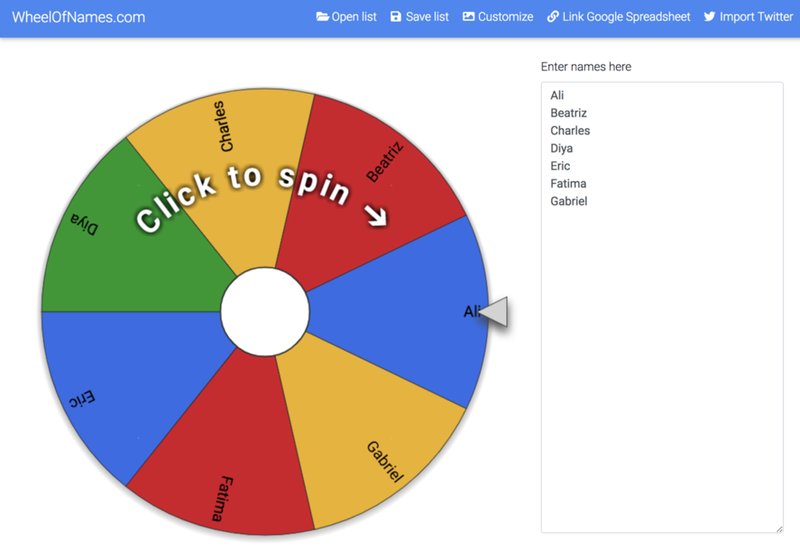 Make it a fun experience with WheelOfNames.com. Used by event organizers and teachers from 139 countries in the last 30 days. Feel free to use this picture or the one on the previous page for any events where I will be speaking.